You're cooking dinner with the radio on — maybe chopping carrots for a nice warm stew — and suddenly on Classical MPR, you hear the Hallelujah chorus. You put down that sharp knife (please) and you sing along, belting out the soprano line, the melody line, no matter how high and screechy it gets. That melody is pure joy. Heck, that's what I'd do — and I sing alto. Because the thing is, if you're not listening to a choral piece carefully from the inside, or for the inside, you may hear just the melody and the pretty chords behind it. Sometimes the tenors might soar up to carry the line for a while, or offer a countermelody. The basses are bedrock; look down, and there they are, everpresent. Plus, in many spirituals, basses get to preach front-and-center in their badarse bellow; yeah, I'm jealous about that one. But for lots of choral pieces, many people would have a hard time picking out the alto. Sometimes, I'm shocked to hear a recording of a piece for which I've memorized the alto part, and I can't pick out the line. Yet if the altos were missing, the piece would feel wrong and empty. Often, the alto line is magical, just below consciousness. The alto line is texture, changing light, tension, weather. I'm not trying to create competition here among the voice parts. Lord knows there are enough soprano jokes to last a lifetime. (okay, but I'll tell one anyway: What's the difference between a soprano diva and a pit bull? Lipstick.) Really, every part is great. Nor am I creating a pity party for altos. I love singing alto. This is praise for the inner line, the line that sits just below your conscious hearing; this is about what it feels like to have that line. And it feels like nougat. It feels like the warm place inside the engine. It feels like being the secret ingredient, the red-gold saffron you paid $50 a bottle for and loving the glow. As an alto, I have a physical sense of being in the middle of a crowd, embraced on all sides. I am part of something. I lean my ear toward the sopranos on my right, or the tenors on my left. I feel warm presence all around me. And I try to shapeshift my voice, matching one color or another. Altos might come up under a soprano line for a three or four-note duet and disappear again. We might sing a line in unison with the tenors, not audible as a section, but adding woodsmoke to their sound. Other times, beginning composers won't know where to put the notes leftover in a particular chord, so they give them to the altos. In those cases, our line is a crazy-quilt, a drunken staggering through music that we need to make sound as sober as possible. But the best choral composers love the altos, and give them complex and fascinating stuff to do. Cases in point: In Hubert Parry's My Soul There is a Country, the soprano line is a jewel, a shiny and pretty tune; you should hear the sopranos foremost. But underneath, altos are the suspension and tension in "sentry" and "die here" — and then we are the release; for this brief moment, you can clearly hear us, though not obtrusively. Later, when the sopranos hold a single note, we glide through several notes, not ones you might hear as pitches but rather as movement and momentum. In Dominick Argento's Walden Pond, however, our lines are very different. We might be singing the retrograde (the same pattern, backwards) of a line someone else just sang; we're idea or thought. Our line is a melody in its own right, but in the context of the larger piece, it's an echo. We're ripples in the pond. The big reveal is this: most people I know singing alto in various choirs in the area are actually mezzo-sopranos. If you're a singer, it's not that big a surprise. You know that blend in a choir is crucial to making a single instrument of multiple voices. 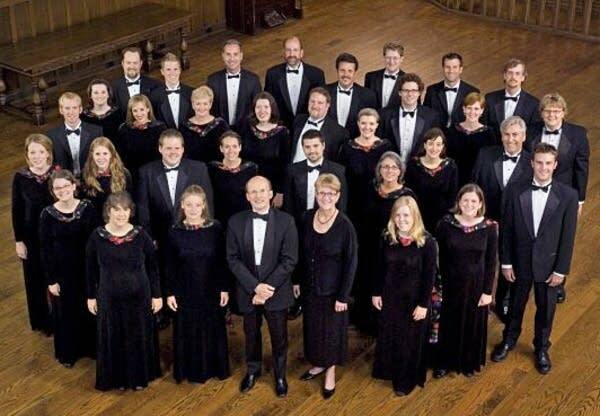 And in the Minnesota choral sound, the high female voices are crystalline and ring as pure as a champagne goblet. So the richer female voices sing alto. When I came to Minnesota from the East Coast, I confess I hadn't heard of the "Minnesota choral sound." I sang with Fenno Heath and a bit with Robert Shaw; these were big men, great conductors who wanted full sound. I sang first soprano in these groups. So I had a limited sense of what altos did--sang harmony, I guessed. Even now, I don't know what it's like to be an East Coast alto, or even if it's that different from being a Minnesota alto. But I owe the Minnesota choral scene much gratitude for teaching me what a strange and lovely animal the alto line can be. All the parts have magical qualities, and all the voice parts in some piece or another will experience these things I mention above. But next time you are listening to a choral piece in your kitchen, hold still. See if you can hear the alto line. See if you can feel the alto line. In your daily life, you may start to see altos. You may recognize an alto because she (or he) is singing a familiar tune, sort of — not badly, just bent through a prism somehow, not quite the notes you know. And altos could be anyone: our neighbors and friends, even family. Even now, altos are walking amongst us, making life richer, though we may barely know it. Anna George Meek has published in Poetry, The Kenyon Review, The Yale Review, and dozens of other national journals. She is the recipient of a National Endowment for the Arts grant, two Minnesota State Arts Board Fellowships, and an Academy of American Poetry Prize. She has also been a finalist for the National Poetry Series (three times), the Minnesota Book Award, and the Yale Series of Younger Poets. Her first book, Acts of Contortion, won the Brittingham Prize in Poetry; her collection Engraved won the Snowbound Chapbook Competition and was just published fall 2013. Meek lives with her husband and daughter where she sings professionally with the VocalEssence Ensemble Singers, and is a professor of English in the Twin Cities.